Superman or Batman – Billy Zane chatting to Christopher Nolan? Bit of an odd one this. I got an email from someone in the States saying that Billy Zane had been talking with Christopher Nolan – director of the Batman films and shepherd of the Superman films whenever they get made. 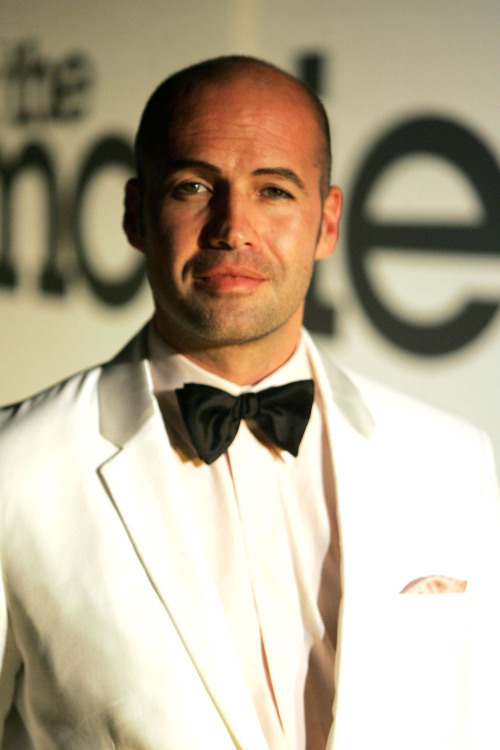 As you will know I am a big fan of Billy Zane. He’s a cool dude after all. Even when the film is poor, and many of his are, Zane is always fun to watch and let us not forget he was in Titanic which made a bit of money. He was also in The Phantom which wasn’t too good and had the distinction of one of the worst taglines for a comic book movie – Slam Evil! – What were they thinking. Getting back to the Zane and Nolan chatting. I thought this is obviously a rumour, but then I got another email from a different source who is usually pretty reliable. They said the same thing. I’ve asked for clarification, but nothing yet. I still have my doubts about the while thing. However, I thought this would lead to some good discussion as to what character Zane could play if he was somehow involved in the next Batman film or a Superman reboot. Hell, let’s throw it open to the Marvel Universe as well. What character could Zane play in a comic book movie? Andy M and I always thought he would have been a perfect Batman back in the day. His Bruce Wayne would have been brill. Now he could make quite a cool Lex Luthor or Brainiac. As for Marvel I somehow see him a “Dum Dum” Duggan for SHIELD. This entry was posted on April 16, 2010 at 1:08 pm	and is filed under Action, Comic, Film, news, rumour. Tagged: batman, Billy Zane, Christopher nolan, Comic, news, rumour, superman. You can follow any responses to this entry through the RSS 2.0 feed. You can leave a response, or trackback from your own site. Excellent, ive always thought BZ was underrated, he’s a damn fine actor, it’s a pity hes had a few duff films! I think given the right part he’d easily show he’s got the stones! We need Tarantino to grab him and stick him in a high profile role! i hope someone s pullin ur leg real hard here…if not ..the only thing i cud see him do is brainiac or luthor. brainiac more than luthor because i just dont wanna see luthor agen+ zane wud hav to live up 2 spacey’s character etc. and i can already hear the fanboys goin 2 war over that one. I am really leaning on the whole thing being a case of mistaken identity. Just odd that a couple of different sources told me the same thing. I think they may have heard from the same place and it has filtered down from there. However, you never can tell. Think he could make a good Brainiac. Any thoughts on what Marvel character he could play? LOL! class! Spacey sucked ballz! hes ace in every other movie though! i personally thought spacey was one of the reasons superman returns turned into the yawn fest it was! Zane is the bomb! FACT! LOL! That must be were it originated from then. Had one of my sources get back to me who says it wasn’t from the Latino Review April Fool, but they are telling me they can’t name any names in case they get into trouble. I’m just not sure either way. I really hope this is true, id love to see BZ in a blockbuster! I always thought Zane would make an excellent Lex. His voice even sounds close to the wonderful Superman the Animated Series voice actor Clancy Brown. Billy Zane is a good actor indeed, I liked his ‘Magic Man’, a good watch if you’re interested. For DC, Zane would have been great for Lex Luthor, could see him playing ‘Zeus’ as well, though that may go well in Nolan’s more realistic turn. For Marvel, I could see Billy Zane doing Red Skull from Captain America. Eh?